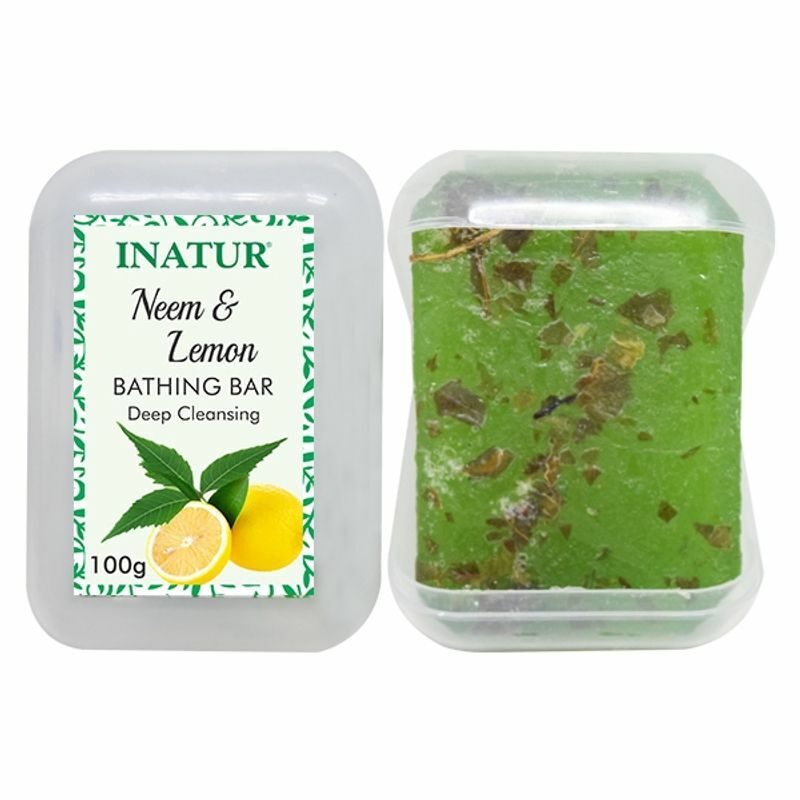 Inatur Neem & Lemon Bathing Bar is your perfect partner for a pleasant bathing experience. It cleanses and hydrates your skin thoroughly and emanates a pleasant aroma that instantly uplifts your mood. It is sulphate and soap-free. Removes any kind of impurity from the skin and soothes allergies. It contains the goodness of Olive oil, Glycerin, Shea butter, Sunflower oil, Neem extracts and Lemon extracts that deeply cleanses your body. Additional Information :Inatur is a renowned beauty brand that focuses on world-class skin care products made of 100% natural ingredients. Constant innovation and quality drives this company towards success. Inatur Neem & Lemon Bathing Bar gets you one step closer to an ever glowing beautiful skin!